In morning 28 October 2018, more than 2500 runners have joined Longbien Marathon 2018 at the Sports Center of Long Bien District, Hanoi. Participating in the marathon as medical sponsor, Hong Ngoc General Hospital has medically assisted runners, contributing to the marathon’s success as its hashtag #runfunrunsafe describes. Continuing the success of Longbien 2016 and 2017, this year the marathon attracts great attention from thousands of runners at various ages from 25 countries. Numerous renowned athletes in running community also partake in the race. 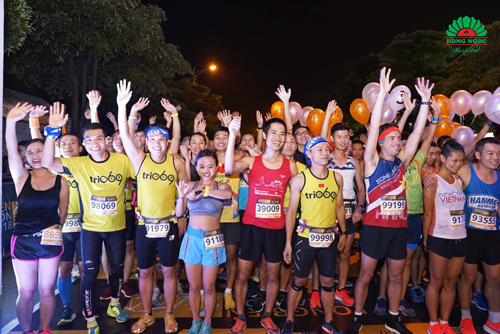 Known as the first Full Marathon in Hanoi, Longbien Marathon aims at connecting community, promoting running habit, and raising fund for the poor living in Long Bien District. Each participant of this non-profit marathon not only has a chance to challenge themselves but directly take their social responsibility of sharing love and support the disadvantaged. Hong Ngoc General Hospital is proud to be medical sponsor for Longbien Marathon 2018, ensuring the safety for this attractive race. 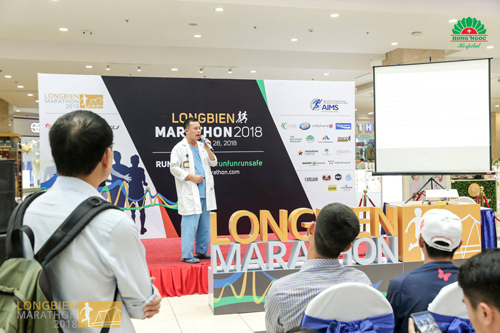 Before the marathon, Hong Ngoc General Hospital in cooperation with the organizing board of Longbien marathon 2018 hosted a workshop on handling with traumatic injuries, providing volunteers and runners with necessary knowledge and basic skills to save themselves and support others. 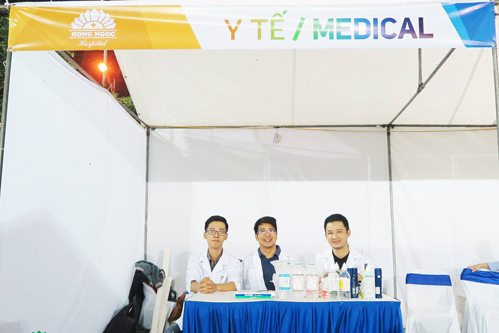 During the marathon, to support all runners participating in the races, Hong Ngoc General Hospital assigned 3 doctors, 6 nurses, and 4 ambulances to work from 4:00 am to the end of the event. 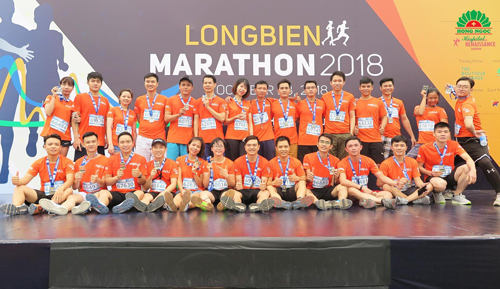 In addition, more than 60 staff of Hong Ngoc General Hospital excitedly joined the marathon at all distances including 42km, 21km, 10km and 5km to spread out the event’s spirit. 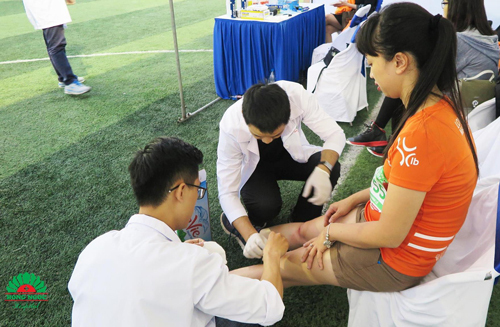 Always attempting for the mission of building a healthier community, Hong Ngoc General Hospital has been popular with sports events and community activities in Hanoi. With 3 Hanoi-based branches, including Hong Ngoc General Clinic in Savico Long Bien, the hospital is committed to offer customers the best health care experiences as well as to connect and develop the sports spirit and people awareness of personal health care. Let’s look back at some memorable moments during the Longbien Marathon 2018.